The University of Central Florida Women’s Soccer College ID Camp is for all 14 to 21 years old female soccer players. It is a 4-day training camp from July 13 to July 16, . It is an ideal preparatory experience for those who dreams of playing at the college level. This training program will provide a high level and intense soccer environment for both field players and goalkeepers. There will also be small sided and full sided matches that will emphasize the tactical aspect of the game. The event is also an opportunity for prospects to showcase their skills in front of the university men’s soccer coaching staff. Moreover, this training program will accept both residential and commuter participants. It will take place at the University of Central Florida campus. The University of Central Florida is a public, coeducational, space-grant university in Orlando, Florida. It is a member of the Southeastern Universities Research Association. It is also part of the State University System of Florida. The university is 176th in the National Universities, edition of Best Colleges rankings. It is 93rd in the Top Public Schools rankings and 150th in the Business Programs rankings. Currently, the university’s total student population is around 63,000. Correspondingly, the student to faculty ratio is 30:1. The University of Central Florida has 16 intercollegiate sports teams. The men’s soccer team is competing in the American Athletic Conference of NCAA Division 1. Their nickname is Knights while black and gold are their identity colors. The men’s soccer team has already 2 NCAA Tournament appearances. Scott Calabrese is the new Central Florida Knights men’s soccer head coach. He is the 2010 NSCAA South Region Coach of the Year. Coach Scott Calabrese is also the 2015 NSCAA Southeast Region Coach of the Year. In addition, Coach Calabrese is a USSF “A” coaching license holder. Then, the Knights assistant coaches are Will Clayton and Paul Souders. 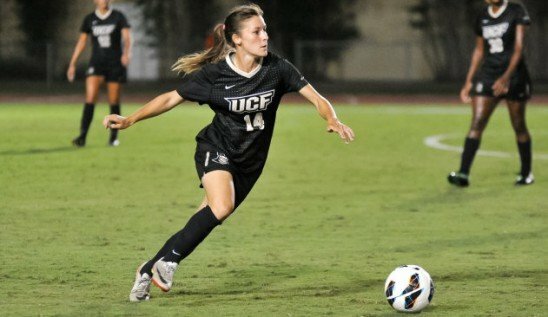 The University of Central Florida Women's Soccer College ID Camp is a high level and fun soccer environment for both field players and goalkeepers.